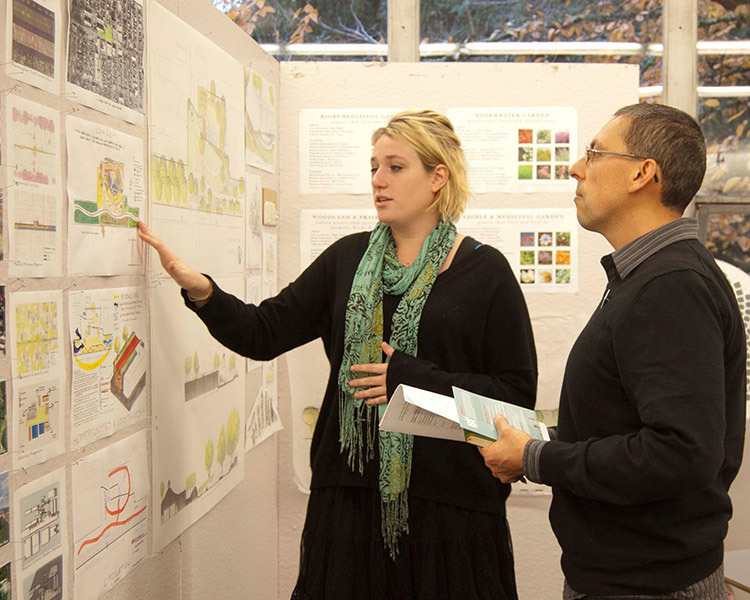 The Department of Landscape Architecture in the School of Architecture & Environment offers an undergraduate minor plus BLA, MLA, and PhD degrees in landscape architecture. With the resources of a large research university and the close-knit feeling of a small design community, the department traces its roots to the oldest landscape degree program west of the Mississippi. From the Pacific coast to the Cascade mountains to the eastern deserts, and in urban, suburban, rural, and wilderness environments, we engage the varied landscapes of Oregon and the Pacific Northwest as a laboratory for design experimentation, while our faculty engage in ground-breaking research around the world—all with a focus on designing landscapes that are ecologically and socially just. 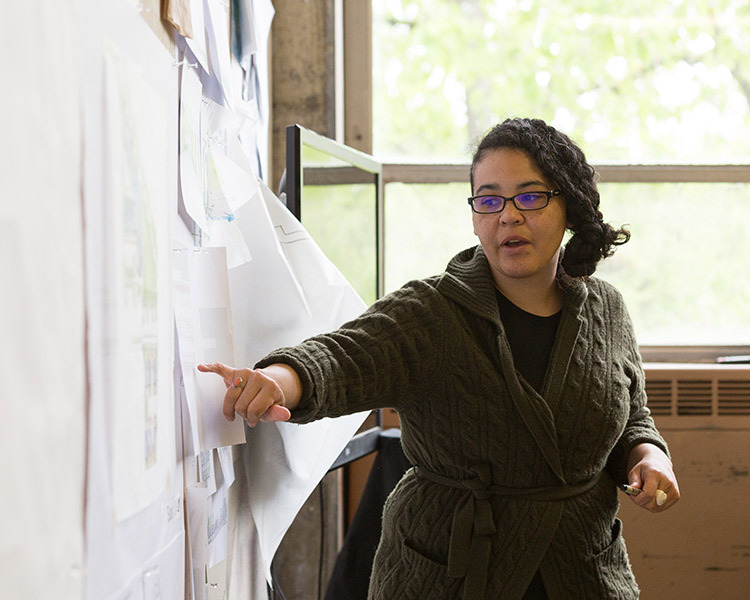 Our undergraduate students, graduate students, and professors share ideas and expertise in small studios and classes among community-minded cohorts. We value a constructive, collaborative educational environment with an emphasis on responsibility, knowledge, methodology, and skills. Situated within the School of Architecture & Environment, we collaborate and share resources with the departments of Architecture, Interior Architecture, and Historic Preservation. Along with the School of Art + Design and the School of Planning, Public Policy and Management, we provide a rare opportunity on the US West Coast to be a part of a comprehensive and vibrant College of Design that includes a broad range of art, design, and planning disciplines. As part of a large university with many interdisciplinary initiatives, our students also frequently engage with faculty and students in the humanities, social sciences, and natural sciences as well. Our faculty are award-winning educators, scholars, and innovators. With a diversity of academic and professional backgrounds, their expertise spans the breadth of the field to address regional, national, and international issues. The department is internationally recognized for its research in landscape design history, theory, and critique; landscape ecology and river planning; urban design and sustainability analysis; critical practice; productive landscapes; historic landscape documentation and preservation; climate change mitigation and adaptation; cultural ecosystem service analysis; visual resource analysis; and landscape representation. Our students and professors come from a variety of backgrounds and experiences, creating a rich educational environment. 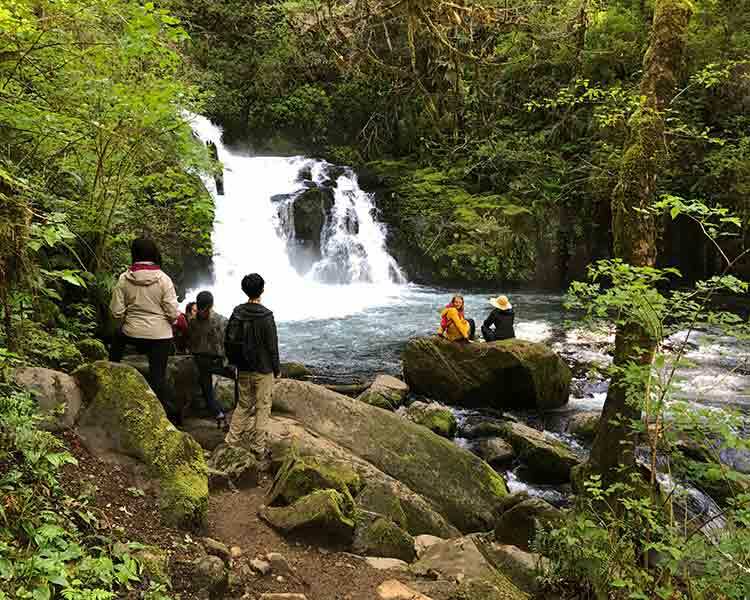 Our curriculum focuses on understanding landscapes across multiple scales—from yards to neighborhoods and parks to entire cities and watersheds—and prepares students to face many different kinds of challenges in diverse places and regions. Our students often win local, national, and international awards, including in design competitions. We frequently partner with cities, government agencies, nonprofits, and community groups to address real-world issues, often through the University’s Sustainable Cities Initiative. Our students are sought after for their knowledge of socially and environmentally responsive landscape design, analysis, and planning skills. Our alumni work in professional firms; in city, regional, state, and federal agencies; in nongovernmental organizations; and as faculty at major universities. Click on an image below to see examples of student work. The department offers multiple opportunities to augment your education in Eugene and around the world, throughout the year. 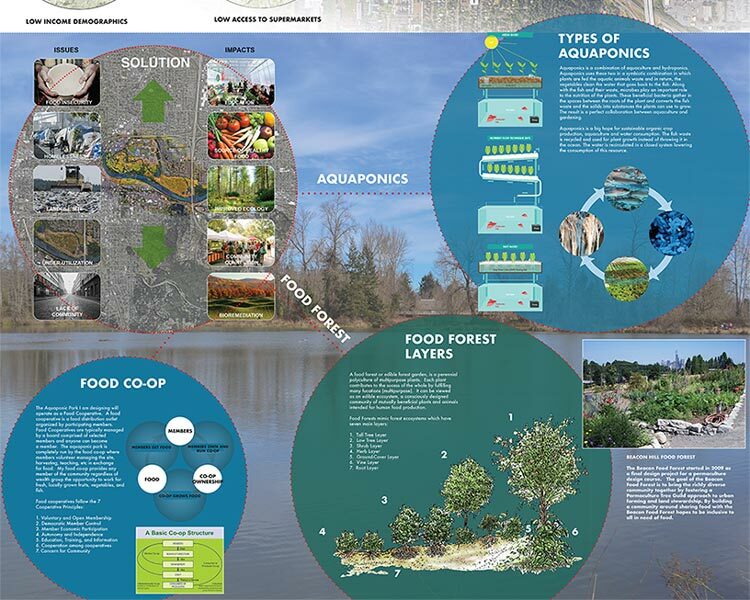 Its Urban Farm is the only one managed by a department of landscape architecture in the United States. 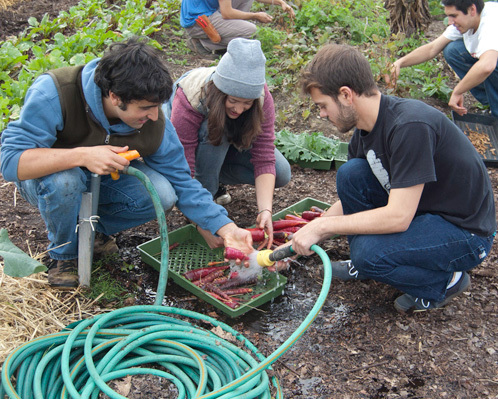 Students regularly participate in and lead initiatives such as The Center for the Advancement of Sustainable Living (CASL), OregonBILDS (Building Integrated Livable Designs Sustainably), and the Ecological Design Center with its annual HOPES conference. 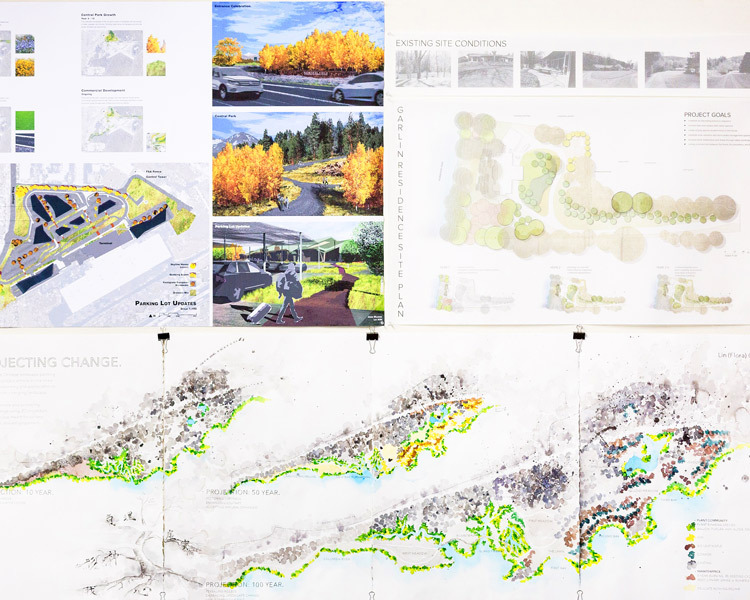 Among its many activities, the student chapter of the American Society of Landscape Architects (ASLA) organizes an annual Shadow Mentor Day, where students are paired with design firms and municipal agencies throughout the Pacific Northwest. Students often participate in one or more of our study abroad programs to dynamic and vibrant locations such as Hong Kong, Rome, and Barcelona. 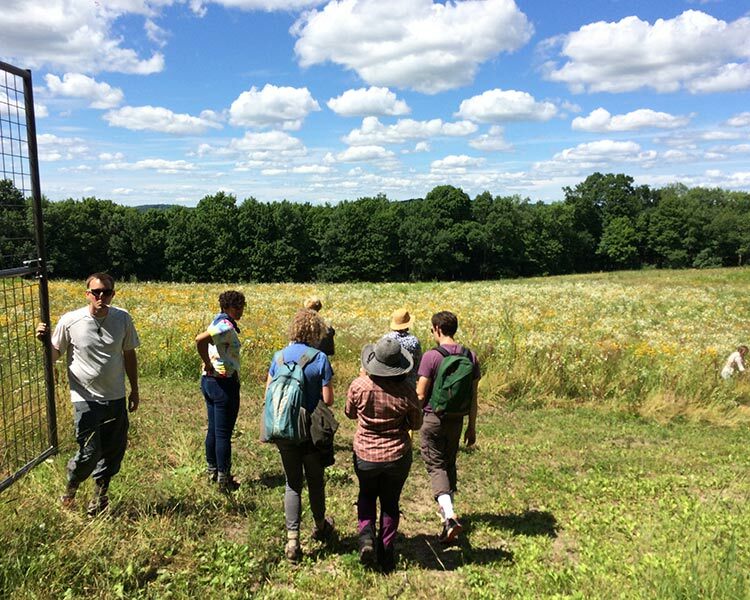 The department's Overlook Field School is situated on an estate designed by Frederick Law Olmsted, Jr. in rural Pennsylvania. 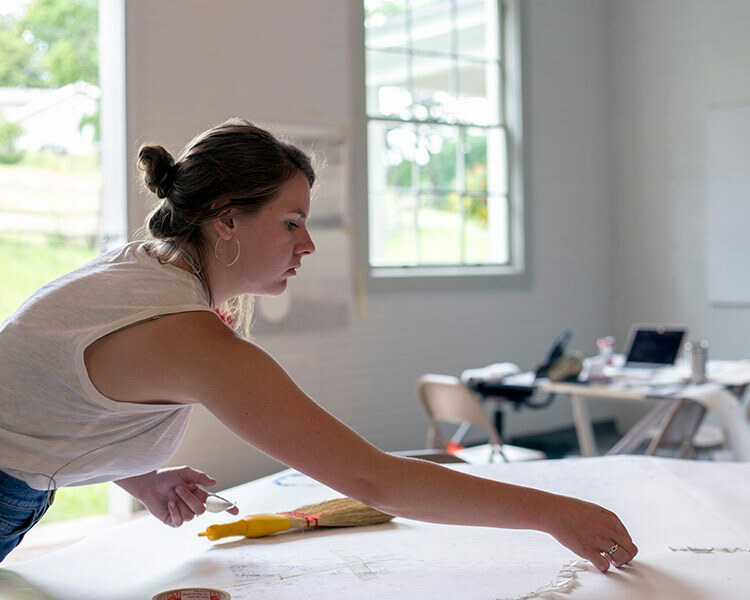 While there, students can engage with contemporary artists and designers and visit historic and contemporary works of landscape architecture on the East Coast. Visiting the UO is one of the best ways to learn about who we are and what we do. Participate in UO's campus visit programs—Duck Days in the spring or Duck Preview in the fall—to tour facilities, see campus, and meet with our faculty members and students. We also host Open Houses and offer departmental tours throughout the year. Megan Little, who will soon earn her bachelor of landscape architecture (BLA) degree, has already accepted a job offer as a landscape designer at a firm thousands of miles away in Cambridge, Massachusetts. Cracking the concrete city with green. 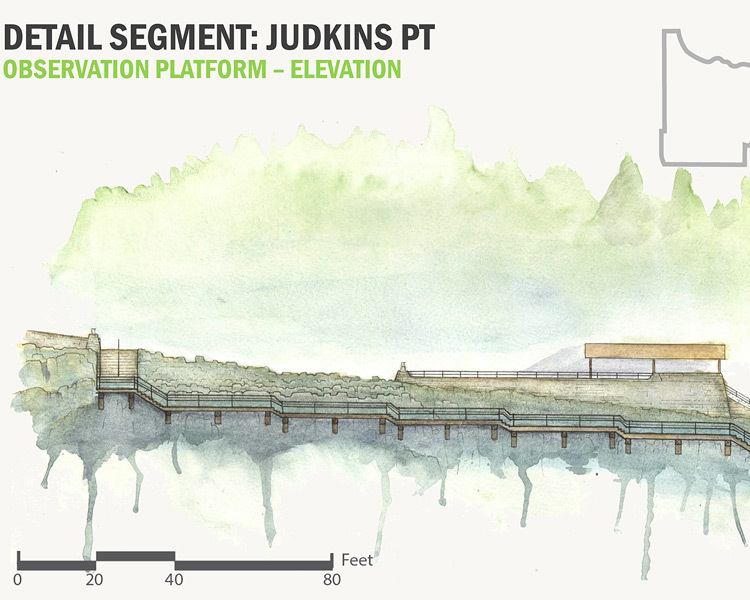 Landscape solutions for the sinking city. We are the only program in Oregon with BLA and MLA programs accredited by the Landscape Architectural Accreditation Board (LAAB).